It was an in and out again mission to Glasgow for a work project. 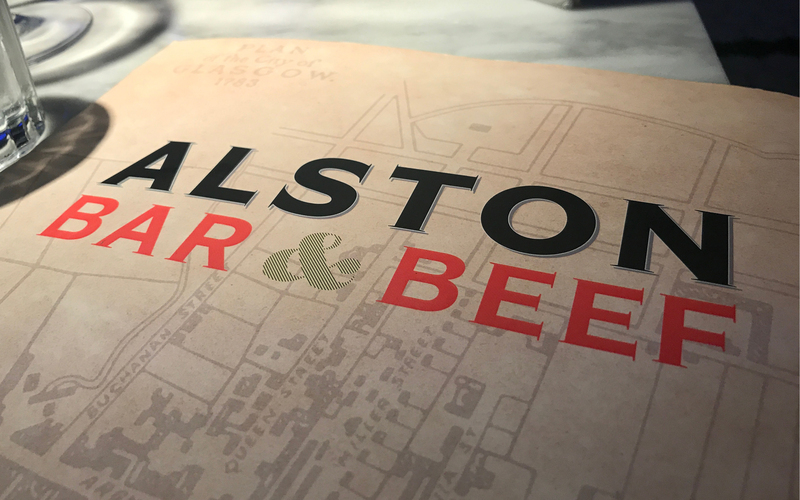 While up in the land of the Angus we thought it churlish to not go for a steak…The Alston Bar & Beef is conveniently located in the Grand Central Station (just inside the Gordon Street entrance), so is a big hit with hungry commuters on the look out for a decent steak. The restaurant is situated in the basement and made up of two arched rooms, which gives it a cosy intimate feel. You are met with a decent sized bar which specialises in Gin (over 120 on offer). The blue light and black and white tiled floor gives this space a slightly clinical feel, which isn’t as welcoming as it might be. The restaurant in the adjacent room is quite compact, but a good size to generate some atmosphere. On the night we visited, it was a damp Tuesday evening, so not that much atmosphere. 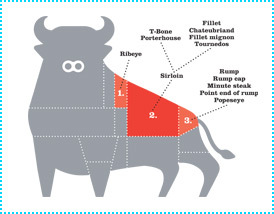 The steaks are all Aberdeen Angus and dry aged for a minimum 35 days. 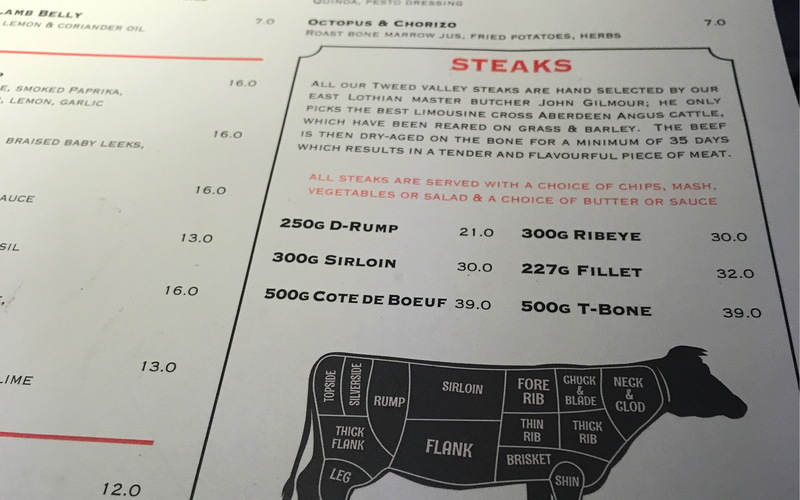 We went for the 300g Ribeye, which was a perfect size after a long journey from London. 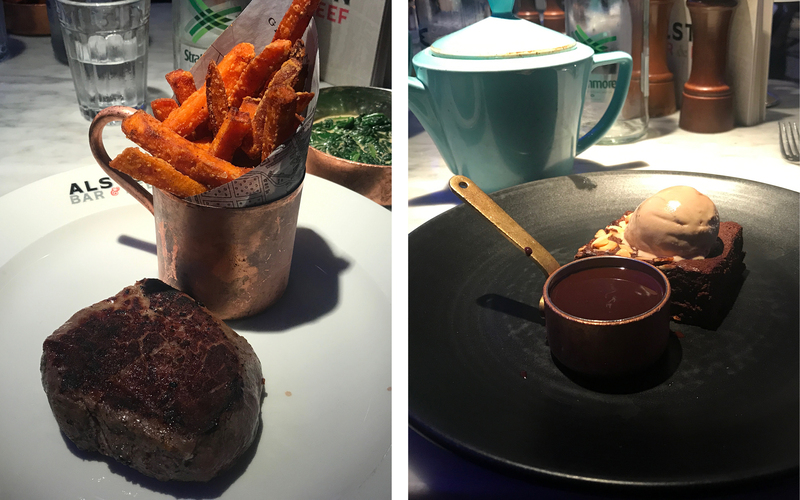 The steak was perfectly cooked and very tender with great flavour, superbly accompanied with the Cajun sweet potato fries which were amazing! We finished with the chocolate brownie with it’s own little pan of chocolate sauce, which was pudding heaven! Well worth the trip up. 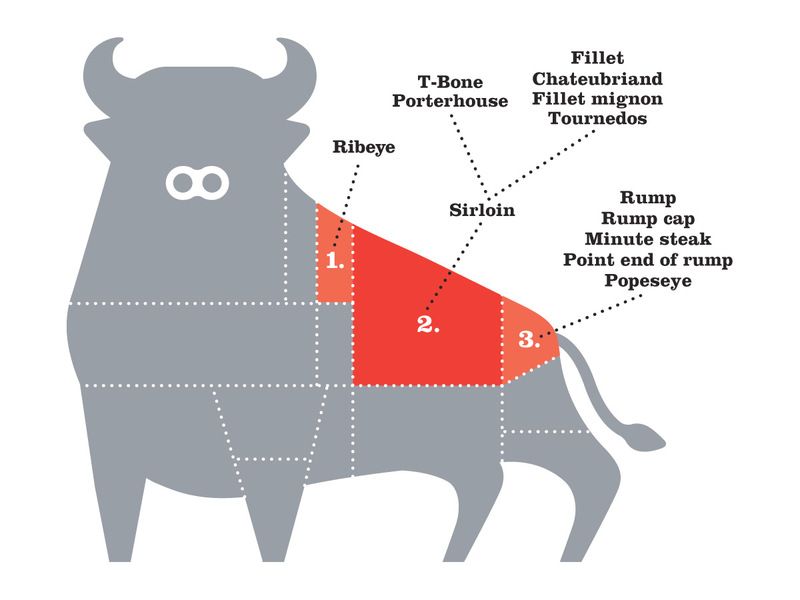 We'd love you to share your steak experiences with us. Whether it's a fantastic restaurant, an amazing butchers or a great steak related story then please contact us. Email or tweet us with your juicy cuts and we'll spread the word. © 2019 Meat Meet All Rights Reserved.